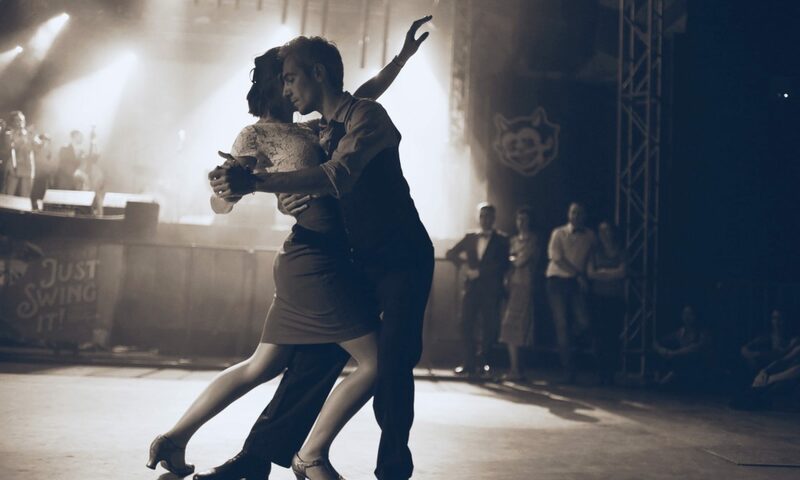 Apart from classes and parties we have some more in store for you… a way to discover Amsterdam in a Bluesy way! We have planned a whole day for you! We hope many of you will attend but we do have limited spaces so make sure to sign up soon. You don’t have to attend the whole program, choose whatever you would like to do! No need to register, just show up and get the ‘Poffertjes’ you like best. You pay your meal and drinks yourself. 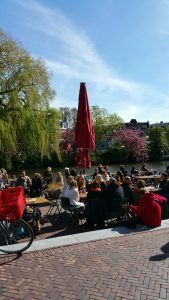 This tour will show you Amsterdam from a different perspective. The tour takes 1,5 hours and costs 15 euros. Of course it won’t be a blues boat without some blues music… There is a bar on the boat but you can also bring your own drinks and food. 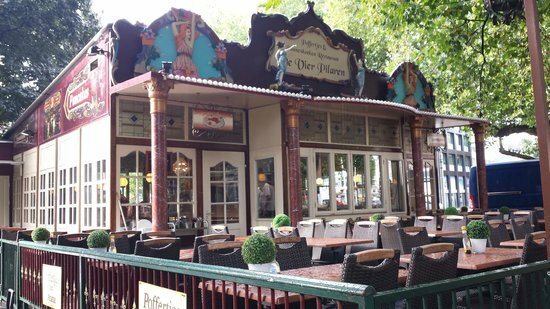 The pick up will be close to the poffertjes restaurant and we will drop you of at a local beer brewery in the east (Brouwerij ‘t IJ). Please sign up below and you will get payment instructions and other relevant information. Brouwerij ‘t IJ (see picture on top) has been brewing quality beers since 1985 and they are serving a great selection of characteristic Amsterdam craft beer. As a bonus, it’s brewery is located right next to the biggest wooden windmill of the Netherlands! 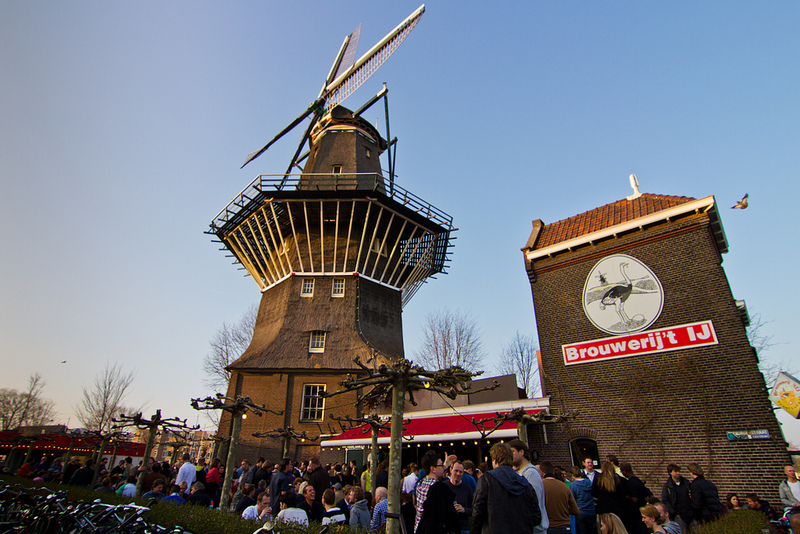 An ideal spot to taste some of the Dutch culture and its beers. Every Friday an English language tour starts at 15.30, followed by a Dutch one at 16:00. Tickets are only available at the bar on the day itself, booking in advance is not possible. The tour takes about 20 minutes and costs €6 per person, which includes a free beer of choice. With a limited number of twenty places, tickets tend to sell out fast, so be quick to grab some if you are keen to join. We would would love to get to know you over diner! Restaurant “t Oostpoortje serves anything from pancakes, to burgers to salads. They make the food, we’ll make it bluesy … please register but you can pay at the restaurant. There will be Blues music so you can dance between the courses. Right before the last party of the festival starts we’ll play the documentary “Where We Danced”. It is the first in a three-part series that chronicles the evolution of American social dance. It tells the story of America’s dance through the lives of the dancers who shaped the art form as well as the places they danced. Made by Lucky Skillen. Free of charge, just bring your own lovely self. Please let us know before June 10 which of the activities you are attending. as soon as you’ve registered you will receive an email from us with payment details. Would be great to see you all soon!